Dr. Perih is the only orthodontist in this area with her master’s degree in growth! The three forms of biological age determination used most widely are based on the degree of development of the skeleton, the teeth , and sexual maturation. 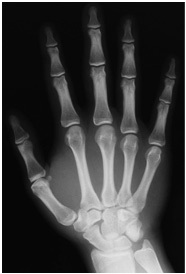 Skeletal age: can be determined by Dr. Perih at the office by taking an x-ray of your child’s hand. This x-ray uses the development of the finger and wrist bones to determine the maturation of their skeleton at the present time. 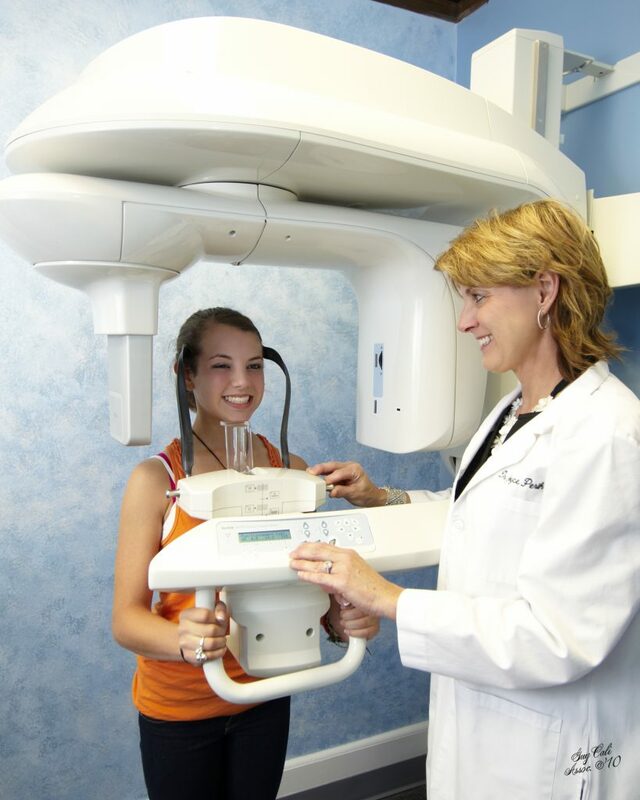 Taken along with their exact height, Dr. Perih can predict your child’s future final height. Dental age: is determined by an intraoral examination and if needed a panoramic x­ray provided by your dentist or taken by Dr. Perih. Sexual maturation: is determined by a thorough health history provided by the family. Dr. Perih utilizes information about these three factors to determine how and when orthodontic treatment should begin. There is a great variation in the age of the adolescent growth spurt. A variation of up to two years for the average growth spurt is considered normal. Girls – the adolescent growth spurt can lie between the ages of 9 to 13. Compared to boys this growth spurt lasts less time and is less intense for girls. Boys – the adolescent growth spurt usually lies between the ages of 13 to 15. – In children who experience their growth spurt early, the entire process is quicker and ultimate height is reached earlier. Climate has no effect on growth in humans, but seasons do! Boys and girls grow more in the spring and summer than in the autumn and winter. In addition, children produce more growth hormone during the first hours of sleep than during the day. Therefore, regular and sufficient sleep is important. The most notable adolescent growth spurt in the face is an increase in the height of the lower jaw. This coincides with the peak in overall body height. The upper and lower jaws have reached about 80% of their ultimate growth by age 6. Girls – Reach their adult facial form approximately by age 14 or 15. Boys – However, continue to show great change in the facial form between ages 15 and 20. This is why men tend to show straighter profiles and stronger chins than women. Orthopedic orthodontic treatment is best performed well before facial maturation in order to achieve the best results.